Category: Brexiteers must get their act together- fast ! Brexiteers must get their act together- fast ! 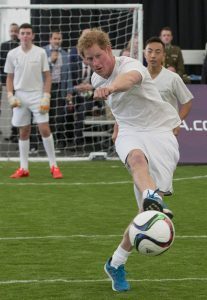 Were England’s footballers hamstrung by politics? Where we went wrong.. and it is all about psychology and the government letting the side down..
Was her hatred of Russia stronger than her love of England ? Did the government’s attitude to England’s participation in the Football World Cup psychologically affect the player’s performance ? England Manager Gareth Southgate understood the importance of psychology in sport when he appointed Pippa Grange as the team psychologist. By all accounts she did an excellent job and the England team seemed to be cool, calm, collected and confident for the early matches. But were she and Southgate prepared for the later stages of the competition and the additional psychological pressures on the players ? Psychology is important in all sports. It can be a game or match changer. With many sports we have seen individuals and teams down, but then pull themselves back and win. It has happened recently with Tennis at Wimbledon and with the Football World Cup. Many of the British public were fully rooting for the England team and were so proud when they exhibited traits of stoicism, resilience and persistence in the initial matches. Not much had been expected of them, and therefore the pride grew in the English team as they surprised and thrilled everyone with their progress. 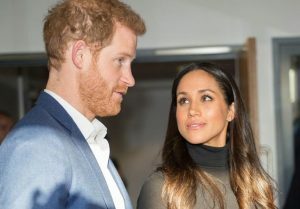 It did not seem to matter too much, that the UK government had decided not to give any official support to the team and that key representatives would not be allowed to attend. It did not seem to matter too much that the government had criticised Russia and actively encouraged English supporters not to travel to Russia. That would not matter to the England team. Or would it ? It seems that no one in the government who made this decision was aware of the importance of psychology in sport, or if they were, then they deliberately sent the team into battle with a psychological disadvantage. Perhaps there were those who secretly wanted England to not do that well, even though publicly they expressed support ? What is interesting about the England football team in the world cup in Russia, is that their final matches were pretty close. Certainly in terms of the chances England had. In fact you could argue that with a bit more confidence/higher morale, it might have given them the edge to pull through to win. Many thought they had the capability to do so. It is interesting that out of all the teams in the world cup, England were the only one which did not receive official support from their government or indeed the FA, because of no one turning up to watch the matches. They also had many less supporters than they normally do, because the government had actively discouraged them from travelling to Russia. This meant that when they were up against opponents, those opponents had many more supporters than they did. This did not seem to matter to much in the early stages of the competition. It seemed that Gareth Southgate’s use of psychologist Pippa Grange had positive benefits to win success then. However, it seems to be that after the Swedish win, the media went overboard in suddenly supporting the English team, when that same media had been fairly mild before then. This created greater expectations on the team and/or may have made them over confident in the wrong way. 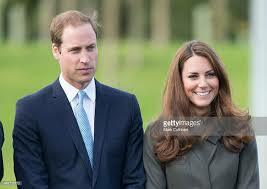 It would also have dawned on them that whilst they were receiving massive support from the British public, there appeared to be double standards, because the UK government was suddenly supporting them, but still not officially in the context of sending representatives to watch and support the England team. The team were confronted with pure hypocrisy from politicians who seemed to want it both ways, to take the glory if England were successful, but still on the basis of not showing the sort of true support which a genuine supporter would give. It was a confusing and mixed message to give the team, and hardly likely to increase motivation/morale/confidence. It would have been perplexing to the players, not a mood you would want them to have just before a major match. It is questionable as to whether the team were psychologically prepared for this. 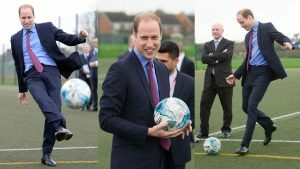 Whilst well meaning, in particular, the tweets of Prince William, giving support to the England side, might simply have reminded the players that he was not there in person. Most England players would not, to be honest, have been impressed, that he did not show some mettle and come out to Russia and support his team. After all, he is President of the English FA. What is the point of holding that position if you do not come and watch your team ? 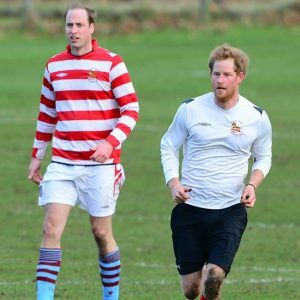 What would have been great, would have been if both Princes William and Harry, both keen footballers, had turned up, preferably with Kate and Megham. That is what this young team deserved, a young team of Royal supporters. Or at the very least, some respected people in public and political life. The England team merited more and did not get it. At the crucial Semi- final match, the England team must have noticed the glamorous President of Croatia in the dignitaries box but no one there from the UK supporting them. It was generally recognised that she boosted the morale of the Croatian team and inspired their many supporters. 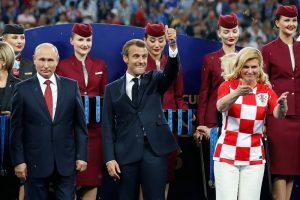 It would have been immediately obvious to the England team, the level of political support and general public support from Croatia, when they started their match, compared to what they had. It was akin to the soldiers in the front line in the First World War and their commanders miles away in safe HQ, all to ready to take the glory of victory if it came to them. I wonder if Pippa Grange and Gareth Southgate were prepared for this psychological aspect of the final England matches, especially the Croatian one? It is recognised that full backing, both from respected national figures, as well as from enthusiastic supporters, is of major importance in international sporting events. It seems clear that the English team went to Russia well prepared in many areas, but not prepared psychologically for not having the same level of support at the competition enjoyed by the other participating nations. If efforts had been made to put this right, even at the last minute, it could have been the psychological morale booster the team needed to give that little bit extra to win through with confidence. Indeed this very question, “should the government send representation to the World Cup,” was put at a Question Time programme when England was performing well. All the politicians said “No,” across the party political spectrum, showing their lack of understanding of how important support is to a sporting team’s success. It was only a female panellist, who so happened to run a football club, who could see how wrong they were. You could also argue that the reason England did worse against Belgium for their final match was partly because they psychologically felt they had been dumped by the politicians back in the UK and indeed their supporters in England . 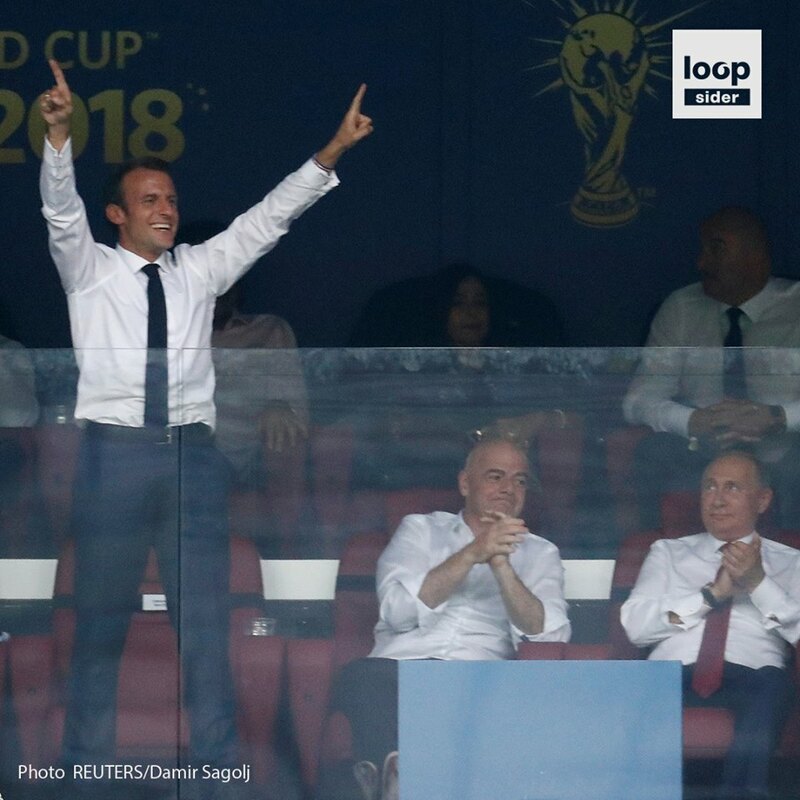 Finally, it was noticeable that Emmanuel Macron was fully supportive of the French team in person. It did not bother him sitting close to Russia’s President Putin. It undoubtedly inspired the French players and of course they had thousands of supporters for their team. There are lessons here for England and indeed all UK nations to learn from this. Firstly, to insist the government does not interfere in sports. Secondly to insist on government’s full support for international sporting events. Thirdly to remember that politics should not come into sports and that sports is in a fact a great healer, unifier, and bridge builder between nations.